virtually all of us are affected to some degree. This is because we all create something called zonulin in the intestine in response to gluten. which allows proteins to get into your bloodstream that would otherwise have been excluded. That then sensitizes your immune system and promotes inflammation and autoimmunity. This kind of gut permeability is also promoted by things like antibiotics and chlorinated water. thereby challenging your immune system. Dr. Natasha Campbell-McBride, another neurologist who has also done remarkable work in this area as a result of seeking a solution for her autistic son, came to the same conclusion discussed by Dr. Perlmutter. Essentially, preventing and treating neurological disorders requires severe restriction of gluten and casein. You also need to address your gut flora. and as a rule must avoid them in order to maintain their health. “We need to eat fat. We’re suggesting a revolutionary dietary change, telling people they should go on this new diet—which is only the diet humans have eaten for the past 2.6 million years! We’ve always eaten fat. Fat is the most wonderful health-providing food that we can obtain in the human diet. According to Dr. Perlmutter, our current dietary fat phobia “has absolutely been the cornerstone of our most common degenerative diseases of the day, including Alzheimer’s.” Why? you’re going to fill in the gaps with health-harming carbohydrate foods, predominantly grains. 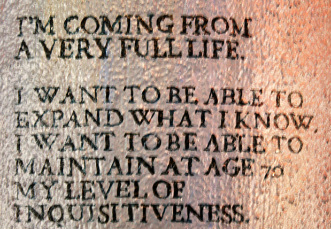 Lifestyle strategies that promote neurogenesis and regrowth of brain cells include the following. which promotes brain cell growth and connectivity as demonstrated on MRI scans. Exercise. In one year-long study, individuals who engaged in exercise were actually growing and expanding the brain’s memory center one to two percent per year, where typically that center would have continued to decline in size. which appears to be particularly beneficial for brain health. also plays a fundamental role in brain health, immune function, and inflammation. as serious as Alzheimer's -- and not after months or even days of treatment, but after a single dose! Did you know…you can slash your risk of Alzheimer’s by almost half with a very simple shift in your diet? 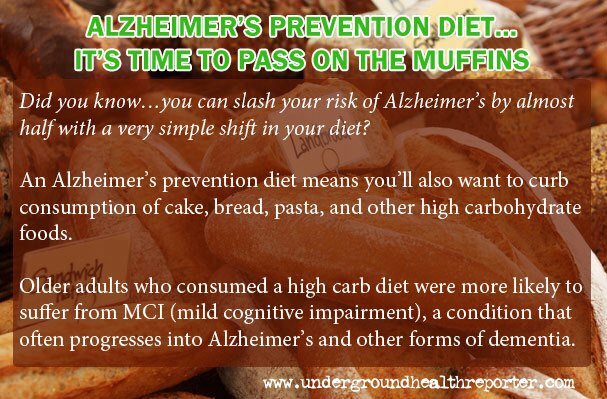 If you’re concerned about your risk of developing Alzheimer’s disease, it’s time to pass on the muffins. bread, pasta, and other high carbohydrate foods. 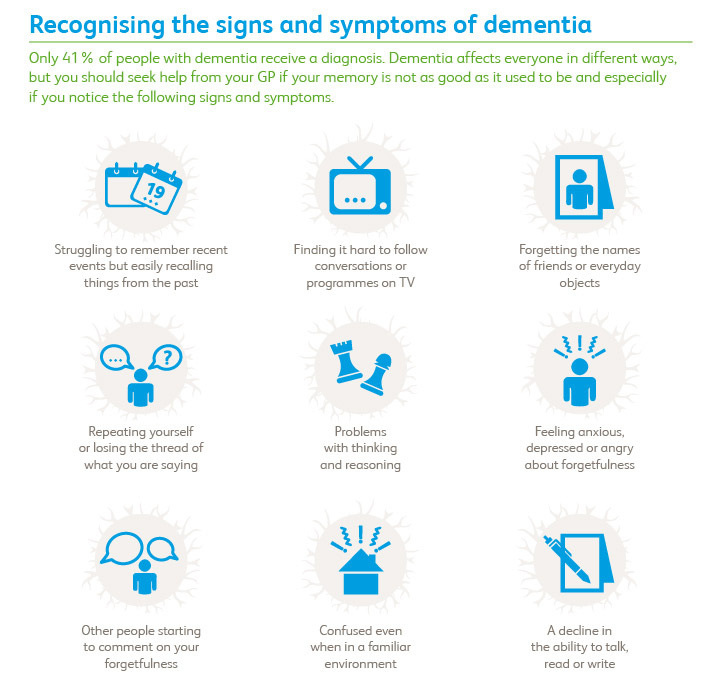 a condition that often progresses into Alzheimer’s and other forms of dementia. The Mayo Clinic study on the link between diet and dementia (published in the Journal of Alzheimer’s Disease) began with more than 1,200 participants between the ages of 70 and 89. By the time the study ended, 200 of the participants had begun to show signs of MCI—specifically, problems with memory…speaking…thinking…and judgment. eating high levels of protein reduced their risk of MCI by 21%. 2. Individuals whose diets had the highest level of healthy fats reduced their risk of MCI by 42%. 3. A high carb diet may be a greater risk for MCI due to elevated glucose levels. Your brain needs glucose to function. But researchers say too much glucose can cause plaques to develop that damage blood vessels in the brain. to reduce the risk of Alzheimer’s disease. Forget Crosswords, This is the Best "Workout for Your Brain"
rather than to the aging process itself. stress and other factors take their toll on your body. What has been called “age-related cognitive decline” is really an accumulation of this damage to your cells. But this cognitive decay is NOT set in stone! including Alzheimer's disease.I have become passionate about warning of the dangers of fructose. will dramatically increase your risk of dementia and Alzheimer's disease. to regulate proper insulin levels. Since the average American is exceeding this recommendation by 300% this is a pervasive and serious issue. to lower your risk of Alzheimer's disease. Many scientists now believe, it is caused largely by the brain's impaired response to insulin. and the worst discovered so far. we can say that the evidence is strong and growing. But if ever there was a case for the precautionary principle, here it is. It's not as if we lose anything by eating less junk food. hydrogenated oils, refined flours/gluten, processed dairy and artificial additives. and thus avoid the fear of alzheimers. it is projected that Alzheimer's will affect 1 in 4 Americans. and in the next 20 years it is projected that Alzheimer's will affect one in four Americans. there are simple strategies available to significantly lower your risk. Most everyone benefits from keeping their total fructose consumed to below 25 grams per day. Fructose has several modes of neurotoxicity, including causing damage to the circulatory system upon which the health of nervous system depends, as well as changing the brain's craving mechanism. Since the average person is exceeding this recommendation by 300% this is a pervasive and serious issue. I view this as the MOST important step you can take. Additionally, when your liver is busy processing fructose (which your liver turns into fat), it severely hampers its ability to make cholesterol, an essential building block of the brain crucial to its health. is so detrimental to your health. There is some exciting preliminary research strongly suggesting a decrease in Alzheimer symptoms with increase levels of magnesium in the brain. Unfortunately most magnesium supplements do not pass the blood brain levels, but a new one magnesium threonate appears to do and holds some promise for the future for treating this condition. Optimize your vitamin D levels with safe sun exposure. Strong links between low levels of vitamin D in Alzheimer's patients10and poor outcomes on cognitive tests have been revealed. Researchers believe that optimal vitamin D levels may enhance the amount of important chemicals in your brain and protect brain cells by increasing the effectiveness of the glial cells in nursing damaged neurons back to health. Vitamin D may also exert some of its beneficial effects on Alzheimer's through its anti-inflammatory and immune-boosting properties. Sufficient vitamin D is imperative for proper functioning of your immune system to combat inflammation that is also associated with Alzheimer's. Keep your fasting insulin levels below 3. This is related to sugars/fructose, leading to insulin problems. However other sugars, grains and lack of exercise are also important factors. According to a small Finnish study recently published in the journal Neurology,11 people who consume foods rich in B12 may reduce their risk of Alzheimer's in their later years. For each unit increase in the marker of vitamin B12 (holotranscobalamin) the risk of developing Alzheimer's was reduced by 2 percent. Very high doses of B vitamins have also been found to treat Alzheimer's disease and reduce memory loss. such as the one described in my nutrition plan. Strict vegetarian diets have been shown to increase your Alzheimer's risk, 12 whereas diets high in omega-3's lower your risk.13 However, vegetables, without question, are your best form of folate, and we should all eat plenty of fresh raw veggies every day. Avoid and remove mercury from your body. Dental amalgam fillings are one of the major sources of mercury, however you should be healthy prior to having them removed. Once you have adjusted to following the diet described in my optimized nutrition plan, you can follow the mercury detox protocol and then find a biological dentist to have your amalgams removed. as most contain both mercury and aluminum! scroll down here ~ Autism-ADHD and learn about Immunisation. There is concern that Alzheimers has increased since flu vaccinations increased. It's been suggested that exercise can trigger a change in the way the amyloid precursor protein is metabolized,14 thus, slowing down the onset and progression of Alzheimer's. Exercise also increases levels of the protein PGC-1alpha. Research has also shown that people with Alzheimer's have less PGC-1alpha in their brains,15 and cells that contain more of the protein produce less of the toxic amyloid protein associated with Alzheimer's. I would strongly recommend reviewing thePeak Fitness Technique for my specific recommendations. Wild blueberries, which have high anthocyanin and antioxidant content, are known to guard against Alzheimer's and other neurological diseases. Mental stimulation, especially learning something new, such as learning to play an instrument or a new language, is associated with a decreased risk of Alzheimer's. Researchers suspect that mental challenge helps to build up your brain, making it less susceptible to the lesions associated with Alzheimer's disease. Avoid anticholinergic and statin drugs. have been shown to increase your risk of dementia. medications to control incontinence, and certain narcotic pain relievers. Regularly taking two of these drugs further increased the risk of cognitive impairment. by inhibiting the production of the indispensable carrier biomolecule known as low-density lipoprotein. Plus special notes on sleep apnea-dementia connection. physical inactivity, depression, and smoking. and diabetes are risk factors. Is There Any Help for Those Already Affected? 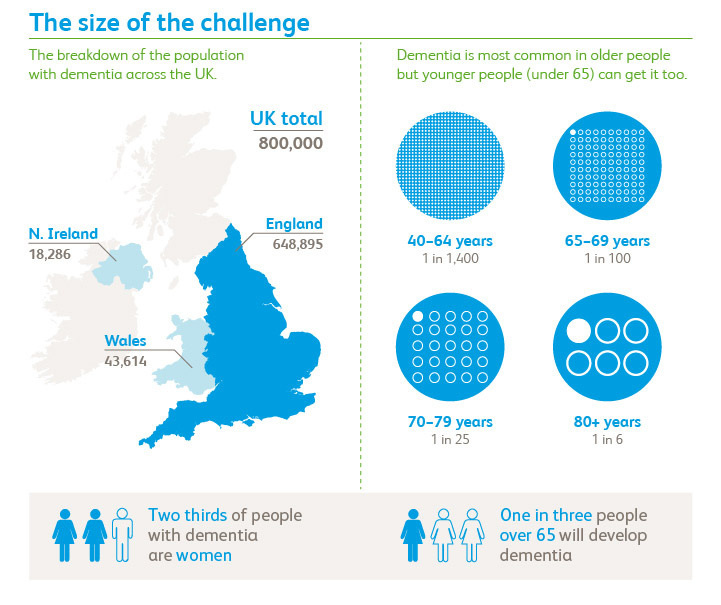 Alzheimer's disease is currently at epidemic levels. according to the Alzheimer's Association's 2011 Alzheimer's Disease Facts and Figures. Unfortunately, existing treatments are often of little to no benefit whatsoever. the researchers found only "meager" improvements. I strongly suggest you take every step you can to prevent it from happening to you in the first place. Alpha Lipoic Acid: A powerful antioxidant and one of the most effective free radical scavengers, in one study of patients with Alzheimer's disease, those given 600 mg of alpha lipoic acid daily for 12 months had a stabilization of cognitive function. A follow-up study, which increased the number of patients in the study and extended the observation period to 48 months, showed the progression of the disease was "dramatically lower" among those taking alpha lipoic acid, compared to those with no treatment or those taking choline-esterase inhibitor drugs. Curcumin: The pigment that gives turmeric its yellow color, curcumin helps inhibit the accumulation of destructive beta amyloids in the brains of Alzheimer's patients, as well as break up existing plaques. Interestingly, it appears that curcumin may be even more effective when used with vitamin D.
This can also be used preventively. Coconut Oil: According to Dr. Mary Newport, D.M, whose husband was stricken with Alzheimer's disease, coconut oil may be KEY for not only preventing but even reversing this disease. It's interesting to note, too, that your brain requires regular challenges to stay fit, just like your muscles. whether that be taking a continuing education course, learning a new hobby, or traveling. and to loss of energy in their brains than people with lower levels of intelligence and less education. Their brain basically fights it off and finds some other ways to get the things done." is easy to do and can add interest, enjoyment, and fulfillment to your life at the same time. Certain cells in the brains of those with Alzheimer's become increasingly unable to use their primary energy source, glucose. Without fuel, these brain cells die, contributing to the mental degeneration. But there's an alternative source of energy, known as ketones. Your body produces ketones naturally when you deprive it of carbohydrates, and you can boost ketone production by consuming medium-chain triglycerides, such as coconut oil. Can Ketone Bodies from Coconut Oil Cure or Prevent Alzheimer’s? Learn about ketone bodies/ketoacids, which are produced when you digest coconut oil, and how they can protect you from Alzheimer's disease and other illnesses. from depression, anxiety, autism and Alzheimer’s, to attention deficit disorder. from destroying your life or the life of someone you deeply care about. Memory Loss: When Is it Serious? and how to protect your brain function. could be the super-simple remedy for depression and Alzheimer's. can be used together as a one-two punch against Alzheimer's disease. Effects of low-fat, high carb diet. Excess body weight can increase the amount of beta-amyloid in your brain, a sign of the early stages of Alzheimer's disease. Excess body weight can increase the amount of beta-amyloid in your brain, a sign of the early stages of Alzheimer's disease. Can staying physically active help slow down the onset and progression of Alzheimer's? Can staying physically active help slow down the onset and progression of Alzheimer's? Even as little as fifteen minutes of exercise thrice weekly can significantly cut your risk of Alzheimer's and other forms of dementia. Even as little as fifteen minutes of exercise thrice weekly can significantly cut your risk of Alzheimer's and other forms of dementia. A good night's sleep can keep you from becoming an Alzheimer's statistic. Environmental aluminum is linked to increased rates of Alzheimers disease. Read some ways on how to limit aluminum intake to prevent Alzheimers disease. A British woman's death once again highlights this deadly connection. Copper pipes have no place in your home. Learn why installing special filters can help you avoid heart disease, Alzheimer's disease and diabetes. Mercury Contributes To Alzheimer's Disease! in normal brain tissues, or cultures of neurons, by the addition of extremely low levels of mercury. Vitamin B12-rich foods can help protect your brain health by reducing the risk of Alzheimer's disease. "emergency" medicine in some cases. For example, vitamin B3 (niacin) may be helpful in your neurological recovery after you've experienced a stroke. at the start of the study also had a greater decrease in brain volume at the end. compared with those who had the highest levels! that may offer a novel and underused treatment for Alzheimer's disease. may help prevent the onset of dementia and Alzheimer's disease. Can Astaxanthin Help Prevent Age-Related Functional Decline? Research says the antioxidant astaxanthin [in krill oil] helps prevent dementia, Alzheimer's. Super Spice Secrets: Turmeric-Can This Miracle Spice Stop Cancer, Alzheimer's and Arthritis? Research on how gingko biloba tree can stabilize and improve dementia. Cinnamon may significantly help people with type 2 diabetes improve their ability to regulate their blood sugar. As a matter of fact, this study found that it increased glucose metabolism 20-fold. Not only is it cheap, safe, and possibly effective, it tastes great as well. Does Insulin Resistance Cause Alzheimer's Plaques? 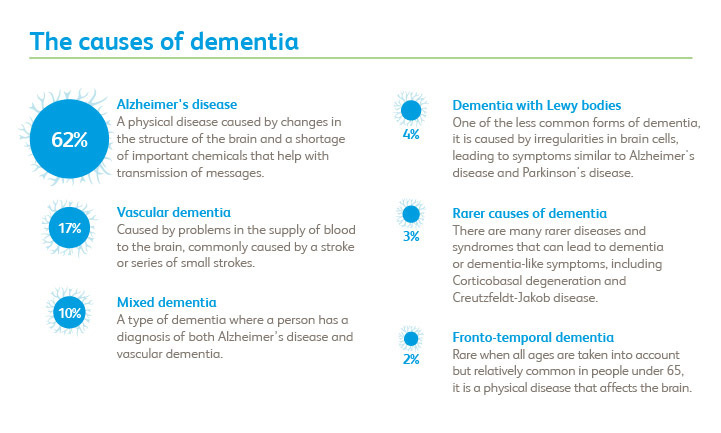 which are associated with Alzheimer's disease. How Can Sunscreen Cause Alzheimer's Disease? Last year, NEJM published a study that suggested that estrogen helps prevent Alzheimers disease in women. has been found to be ineffective in treating mild cases of the disease.